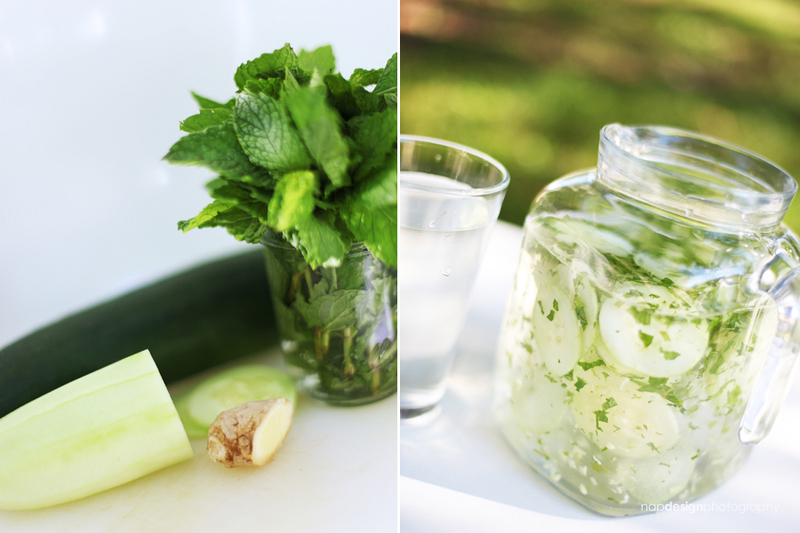 THESE ARE A FEW OF MY FAVORITE THINGS: A cold glass of water with mint, cucumber and ginger! Thanks to my good friends Christy and Nate for introducing me to this refreshing treat! Sometimes I just want something more flavorful than just plain water – even though I absolutely love water! Just add a little of these fresh ingredients: chopped mint leaves, thinly sliced cucumbers and finely chopped ginger root to a pitcher of water and let it soak up the flavor. You can adjust the amounts according to your taste.